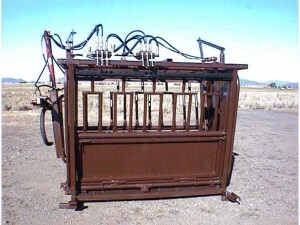 Use of the hydraulic chute is growing in the cattle industry. Though manual livestock chutes are still used, they are are quickly being replaced by their hydraulic counterparts. Hydraulic squeeze chutes decrease the dangerous nature of cattle maintenance, especially for preg-checking. In addition, the automation increases overall productivity in your livestock operation by reducing the time required per cow in the hydraulic chute. Some users double up by processing two yearlings at once, further increasing the number of head one man is able to process. This increase in efficiency translates directly to a decrease in operation costs. For many, using a hydraulic chute, or squeeze chute, is also a health benefit. The physical strain on the crew is greatly reduced. A hydraulic squeeze chute holds cattle firmly by the adjustable side gates, making them unlikely to struggle, fight, or kick. When you add the effectiveness of the Mugger, Salt Creek’s patented head-restraint device, the outdated manual chute is no match for today’s hydraulic chute. 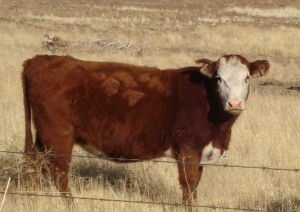 By immobilizing the head, ranchers and veterinarians are better able to tend to the cow. De-horning and immunizing can take place quickly and safely. For hoof trimming, there is no contest. Why spend time using two people to sling a cow? Our hoof trimming chute features simple, safe, and fast one-man operation. Well-maintained livestock hooves translate to better livestock health. If you need mobility, simply order one of our portable hydraulic chutes. With our specially-designed wishbone style trailer, Salt Creek’s hydraulic chute can be loaded or unloaded in a matter of minutes, and is easily and safely accomplished by one person. Salt Creek Industries prides itself on constructing our chutes, trailers, and accessories from the highest quality steel and constructed to last a lifetime. All Salt Creek products are unconditionally guaranteed for 12 months, no matter how many cattle are run through them. "Everything is A-OK and has been right on target for us. We run 6000-8000 head of cattle through it in the fall and about half that in the spring…"